“Come in Love, Stay in Love, Leave in Love” – Royal Oaks Retreat is in the mountain top hamlet of LOVE, VA. We are located on the Blue Ridge Parkway at mile post 16 – just 3 miles from Wintergreen Resort, and just 15 miles from Interstate 64. 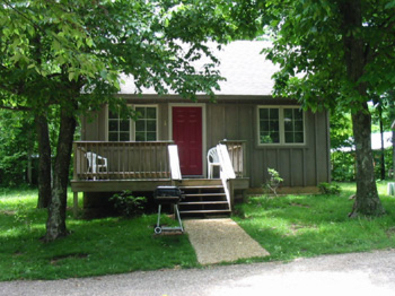 Royal Oaks is a popular destination for Family Reunions, Church Retreats, Romantic Getaways, and fun for nature lovers and features lodging cabin rentals, a store, deli and gift shop. Our 13 upscale cabins feature Fireplaces, Jacuzzi Tubs, Equipped Kitchens, with all bedding, linens, and towels included. Our 3 large chalets have large decks with beautiful mountain views, large outdoor hot tubs, gas fireplaces, game tables, and can sleep up to 12 guests each. Royal Oak’s guests have FREE recreational activities provided on site: Sand Pit Volleyball, Horse Shoes, and Wildlife & Bird Viewing Trail. Pet Friendly. The distance from Royal Oaks to local favorite destinations are: Sherando Lake (fishing & swimming) – 4 miles; Appalachian Trail – 1 1/2 miles, and Crabtree Falls – 11 miles. Three Wilderness Areas within George Washington National Forest (“The Priest”, “Three Ridges”, and “Saint Mary’s”) are short drives away. Royal Oaks Amphitheater can seat up to 400 guests for group events. We supply facilities, catering, and special needs for group events; let us custom design a package for you. Royal Oaks Deli is open seasonally with great picnic and hiking menus. Royal Oaks Amphitheater can seat up to 400 guests for group events. We supply facilities, catering, and special needs for group events; let us custom design a package for you. We have several outdoor special events tents ranging from 12’x12′ to 30’x60′, a 30’x120′ Wedding Garden seating up to 200 guests, and a 40′ x 120′ Courtyard centered around a 20’x24′ covered stage complete with lighting and numerous receptacles on 2 30 amp circuits. Also have banquet tables and chairs for up to 300 guests, dance floor, sound systems, and special lighting.